Looks like popular German luxury carmaker BMW has become very aggressive with their product strategy for the growing Indian luxury car market. 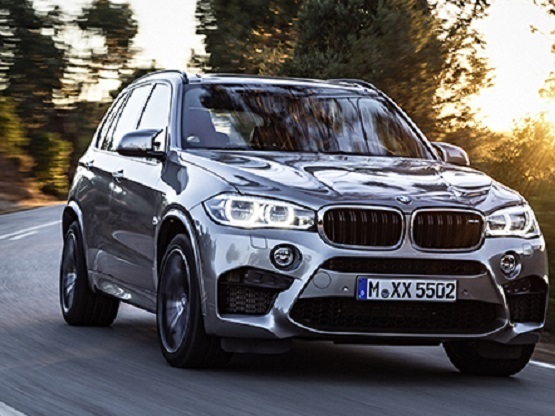 BMW is now set to launch the BMW X6M and X5M in India on October 15 at MMRT in Chennai. Both the BMW X6M and BMW X5M shares similar engine specifications and components. These two BMW cars would be powered by a twin-turbo 4.4 litre V8 engine which is capable of churning out a maximum power of 575PS along with a maximum torque of 750Nm. The engine used in the car will be mated to 8 speed automatic gearbox which sends the power to all the 4 wheels of the car via BMW’s xDrive system. Not only this, BMW has also added several other elements to its BMW X6M and BMW X5M to make it look more different from the familiar BMW X6 and BMW X5 variants. These two BMW cars shall get a very different body kit, an M Steering wheel plus other elements from BMW’s M division. As a standard, the BMW X6M and BMW X5M would get iDrive infotainment system along with a heads-up display. Also, the BMW X6M and X5M is going to be sold as CBUs (Completely Built-Up Units) in India. The car would rival against the likings of the Mercedes-Benz GL 63 AMG, the Porsche Cayenne Turbo and the Range Rover SVR.